— Houston's space shuttle mockup is no longer nameless. The full-size replica is now space shuttle "Independence," its new name symbolizing the spirit of Texas. Officials with Space Center Houston, the visitor center for NASA's Johnson Space Center, revealed the name — the winning entry from its recent "Name the Shuttle" statewide contest — during a public christening ceremony Saturday (Oct. 5). "We received a total of 10,263 [contest] entries from all across Texas, and our elite panel of judges sorted through a widespread collection of possibilities," Richard Allen, the president of Space Center Houston, said. "It was a tough decision, but we ultimately chose a name that celebrates the Lone Star State and highlights its distinct contribution to America's space shuttle program." The "Name the Shuttle" competition was open to all Texas residents of adult age, from July 4 through Sept. 2 of this year. Entrants were asked to submit names that captured the state's qualities of "optimism and can-do attitude." 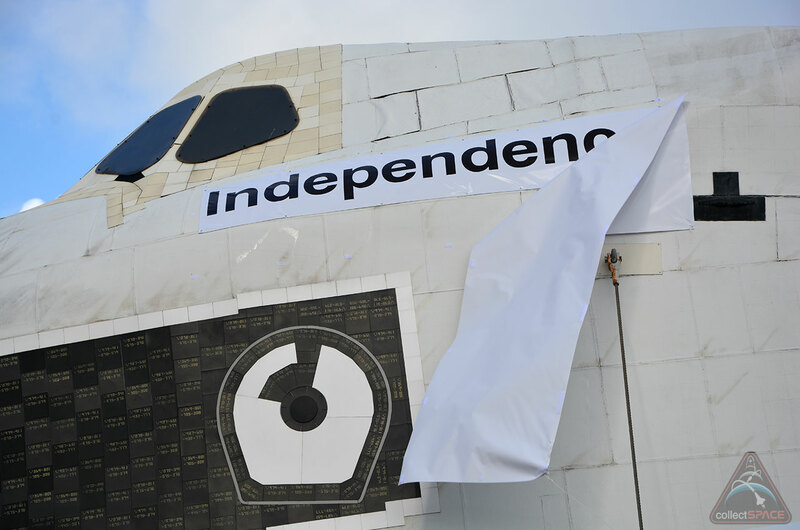 "Independence" was unveiled on Saturday printed on the body of the 123-foot-long (37 meters), high-fidelity shuttle replica, which since June 2012 has been exhibited outside at Space Center Houston. 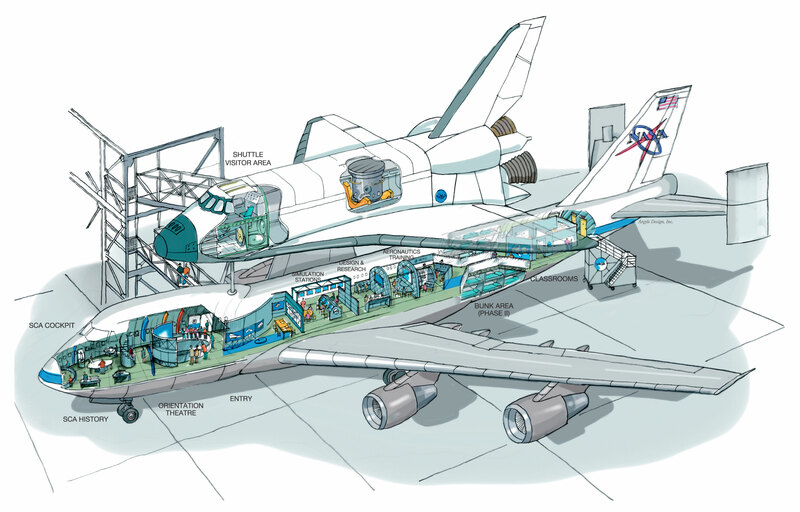 The newly-named space shuttle Independence will eventually sit atop NASA's original 747 Shuttle Carrier Aircraft jumbo jet, as part of a $12 million, six-story attraction currently under development. The mockup, which was called "Explorer" for the 18 years it was on exhibit at NASA's Kennedy Space Center Visitor Complex in Florida, was stripped of its name before being barged to Houston last year. Tim Judd of Kingwood, Texas, who was the first to submit "Independence" for the replica's new name, participated in Saturday's unveiling ceremony. Judd, who is 29, will have his own name and hometown incorporated into the exhibit once construction is completed in 2015. "When I first heard about the 'Name the Shuttle' contest, 'Independence' was the first thought to pop into my mind," Judd said. "This concept is important, not just to the state of Texas, but to all Americans." "We enjoy freedom every day, striving for a greater sense of independence," Judd added. "It was that exact mindset that brought settlers here in the first place and what drives explorers into space today." 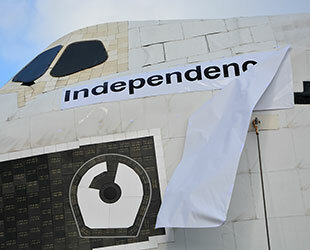 This isn't the first time "Independence" has been raised as an appropriate name for a space shuttle. The name the second highest ranked (after "Constitution") among the 15 suggested for the first shuttles in 1978. An ad hoc committee ranked the list of names based on their "relationship to the heritage of the United States, or to the shuttle's mission of exploration." Ultimately, the reusable winged orbiters were named after sea vessels that were used in world exploration. The now-retired space shuttle fleet included Columbia, Challenger, Discovery, Atlantis and Endeavour. A prototype, originally called Constitution, was renamed Enterprise after fans of the television show "Star Trek" staged a successful letter-writing campaign. 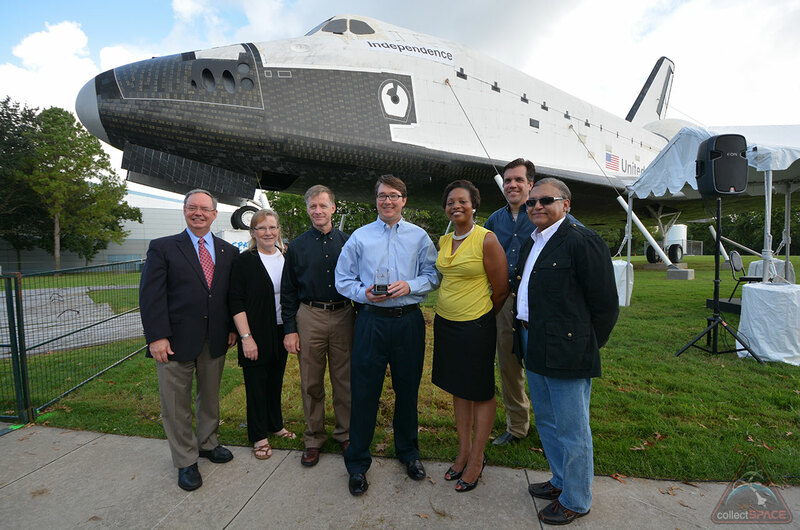 For winning the "Name the Shuttle" contest, Judd received a multi-day trip for four to Houston, including a VIP tour of the visitor center and a "behind-the-scenes experience" at the Johnson Space Center. 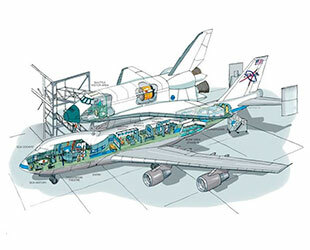 The state-of-the-art space shuttle Independence attraction will give guests the unique opportunity to climb aboard the Shuttle Carrier Aircraft, a modified Boeing 747 airliner that was used to ferry the orbiters across the country. Visitors will also be able to explore the inside of the space shuttle mockup while it is mounted atop the SCA. 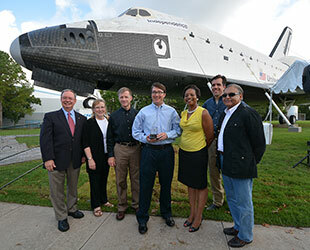 "The shuttle was a fantastic spacecraft," Chris Ferguson, commander of STS-135, the shuttle's final mission, said. "Visitors from around the world will have the unparalleled opportunity to explore this vehicle through the eyes of an astronaut, creating a truly unique shuttle experience." 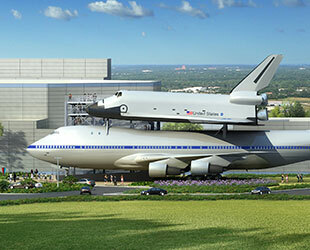 "Space Center Houston will be the only place in the world where visitors will be able to see the shuttle 'piggyback' on one of the authentic carrier airplanes," he said. "It is most fitting that this magnificent combination will live its second career as a learning tool, inspiring generations to come."